New York based Victoria graduate Eleanor Bishop recently returned to her native Aotearoa to direct Body Double, the BATS Theatre 2017 STAB Commission. 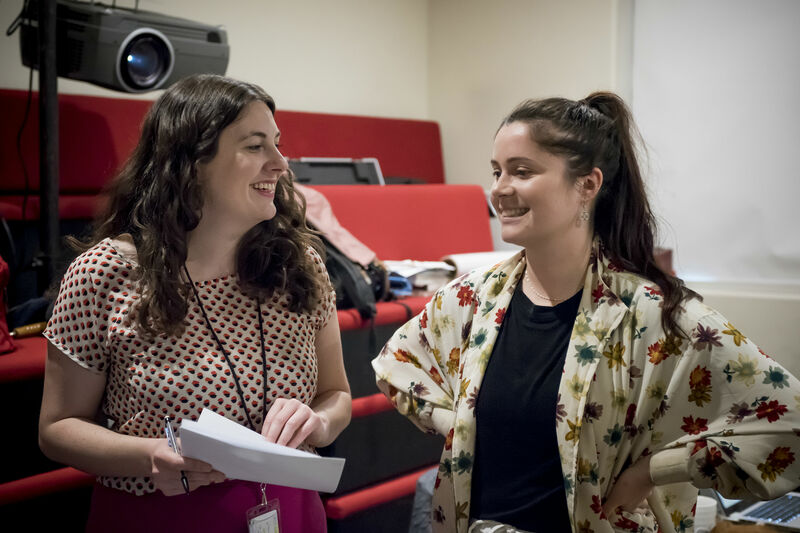 Through the Master of Fine Arts (Creative Practice) (MFA (CP)) programme, student Kasey Collins was given the opportunity to intern with Eleanor on her multimedia play, which juxtaposes projected images, handycams and voiceovers alongside conventional theatre. Kasey says Victoria University’s Theatre department was very supportive of her ambition to work with Eleanor on Body Double. “They basically let me decide what I wanted to do and then supported me to make it happen,” she says. “The MFA (CP) is a very industry-related programme, so if you know what you want to do it’s ideal.” she says.